Attempts to downgrade status of the armed forces has been an ongoing process ever since Independence. At the time of independence, there was mutual dislike between the polity and the Army, which was exploited by the civil services. The Army had been a tool with the British to curb the freedom struggle, in which all political leaders of post-Independence had been a part of. Hence, they disliked the military, to the extent that Jawaharlal Nehru had remarked that a peaceful nation does not require an Army. The Army on the other hand, maintaining the British legacy, possessed a disdain for politicians, the feelings being mutual. The political leadership considered armed forces to be an instrument of imperial strategy guided by the British, and not Indian interests. Hence it planned on degrading the Army's status to suit the nation’s requirement. The very first action taken by the government was to abolish the post of the commander-in-chief (C-in-C), who was the single point advisor on all military matters to the government, akin to a chief of defence staff, an appointment the nation presently requires and was amongst the most powerful members of the government. Appointing of independent service chiefs resulted in the armed forces headquarters being separated and placed under functional control of a civilian controlled defence ministry, which continues to date. With the passage of time, with coups in neighbouring Pakistan and Myanmar, fears began rising in the Indian polity of a similar possible action within India. As has been the military ethos, it neither complained nor objected and accepted every decision of the government, including reduction in pensions, degradation in status vis-à-vis other services and even in the warrant of precedence. The polity felt that degrading the military’s status, they could be moved away from the government and decision-making, thus reducing chances of a coup. Post the 1962 debacle, the government got its way, the cabinet secretary was appointed and the chiefs made subordinate to him. The Army proved its mettle in 1965 and '71, yet was let down by an ungrateful government headed by Indira Gandhi, in pay, pensions and stature. As has been the military ethos, it neither complained nor objected and accepted every decision of the government, including reduction in pensions, degradation in status vis-à-vis other services and even in the warrant of precedence. Such actions have continued over decades, with no response from the armed forces hierarchy or the rank and file. Service chiefs remained muted and silent spectators, since most were from the old school of thought, considering it to be in the interests of democracy. The situation began to change with the emergence of social media, enhanced awareness among the serving and veterans, increased role and projection of the Army in every sphere of national activity, either battling militancy in the Northeast or Kashmir, floods, earthquakes or even during civil disturbances. The respect from the national public, which had largely remained subdued or silent began to grow manifold, giving a voice to the concerns of the silent soldier. Most of the armed forces serve in cantonments and locations away from society and the bureaucracy, except co-located civilians belonging to services paid from the defence fund. Hence, most have little to no interaction with the bureaucracy on a regular basis. Simple degradation only in status (not salary) mainly impacts those posted to service headquarters in Delhi, who are involved in direct interaction. The higher an individual’s appointment in Delhi, the more he is impacted. Seniority within the government of India, between different services is based on salary or grade pay, hence those junior in service, but obtaining a higher-grade pay, are deemed senior. This became a major issue even within the armed forces after the release of the Non-Functional Upgradation (NFU). The release of NFU to all other central services, less the armed forces, led to major functional problems even within the service. Civilians being paid from the defence budget, including the Military Engineering Service (MES), establishments like the DRDO, quality assurance, dockyards etc, who serve alongside the military suddenly jumped up notches, based on this additional package. Hence, while he was posted under a military officer, he refused to accept directions, claiming he was senior due to his salary. This made working conditions within the service as also with the bureaucracy in Delhi difficult. Further, the attitude of the government, in supporting the bureaucracy and denying the military similar benefits, including its sudden downgrading in the Seventh Pay Commission increased heartburns and internal anger. The Seventh Pay Commission was the ultimate insult, resulting in the three service chiefs, rejecting its implementation, despite directions from the defence minister. This has happened for the first time in independent India. The anger was such that the PM had to intervene and direct the Department of Personnel and Training (DoPT), functioning under the PMO, to re-examine it. The disappointment over the well-planned strategic degradation began to spread across the rank and file. 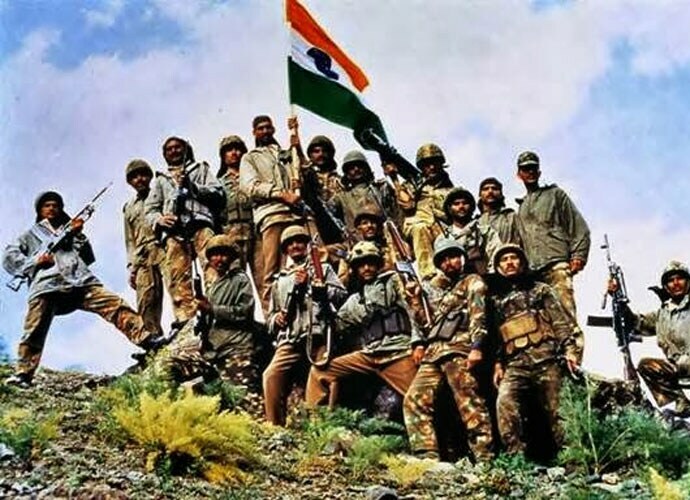 While those serving remained quiet, as per their ethos, the veterans alongside the common Indian, whose respect for the armed forces continues unabated, jumped into the fray to challenge such unilateral and insulting actions. With an unrelenting government, continuing on the warpath, there was no option but to approach the courts. The case is now in its final stages in the Supreme Court. For the bureaucracy, the only option to gain a favourable judgment and hammer the final nail is to downgrade the military to a Group ‘B’ Service (from the Group A service it presently is). This game has been seen through by the military’s well-wishers and its veterans. The veterans have now planned a mega rally against it at the end of the month in Jantar Mantar, the venue of the OROP agitation. The equivalence commission is also being closely watched, solely to ensure that justice is given to the silent soldier, serving in remote corners of the nation to ensure its security. Never again will this grateful nation permit the government to maltreat its military, like the Seventh Pay Commission has done. Never again would they permit the military to be downgraded, as they seek to now. The common Indian has spoken, the nation will forever respect the military’s sacrifice and valour. Attempts by the government to downgrade it, would impact it where it hurts the most, votes in the coming elections. Moreover the civil servants and politician don't understand the Fauji ethos and can not differnciate between nine to five job of a civilian 24x7 job of a Fauji. In fact the time has come that the fauj also should be working five to nine withfwith five days a week. Any where a Jawan is deployed he should get same facility as a civ govt employee gets. The restriction on fundamental rights must be lifted and a Fauji must be allowed to make an association to look after his interests. firstly remove the disparities in officers and JCO's/OR's then blame the bureaucrat / Govt . Defence officer do not want the up lift of JCO's/OR's status and crying for themself only . It is not justified and Govt knows every thing .